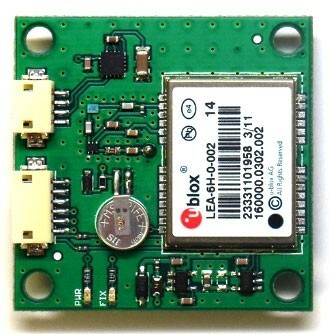 The 3DR uBlox GPS with Compass LEA-6H is the latest GPS unit to come from the 3D Robotics team, the 3DR GPS LEA-6 GPS with Compass has active circuitry for the ceramic patch antenna, a rechargeable backup battery for warm starts, which means a faster lock at the field and with an expected 180 - 200 hour life in the battery after a full charge there should be no issues with fast locks! There is a I2C EEPROM for configuration storage. 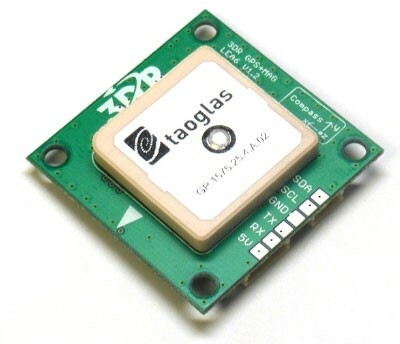 The 3DR GPS Compass LEA-6 GPS units will ship pre-configured for ArduPilot Mega 2.6 & Pixhawk use. The Compass and GPS unit is best used with the Ardupilot Mega 2.6 or Pixhawk which has no internal compass. It can also be used with the older ArduPilot Mega Auto Pilots which have the compass units installed on the ArduPilot Mega board. Please note you need to install the GPS and compass with the arrow pointing forward in your plane or multi rotor craft. Rechargeable 3V lithium backup battery.. Included with the GPS is the DF13 6 Position connector cable and the DF 13 4 Position connector cable.